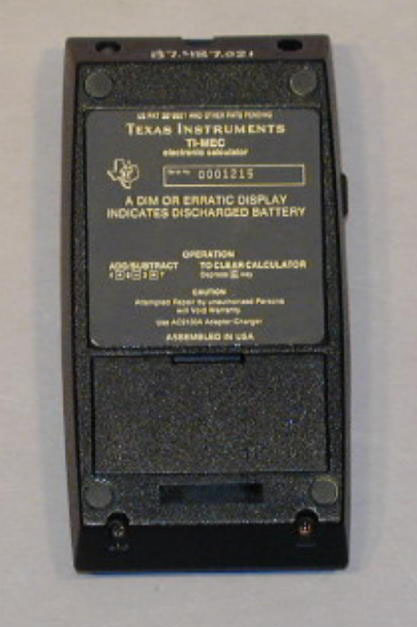 The TI-MEC was an experimental TI design. 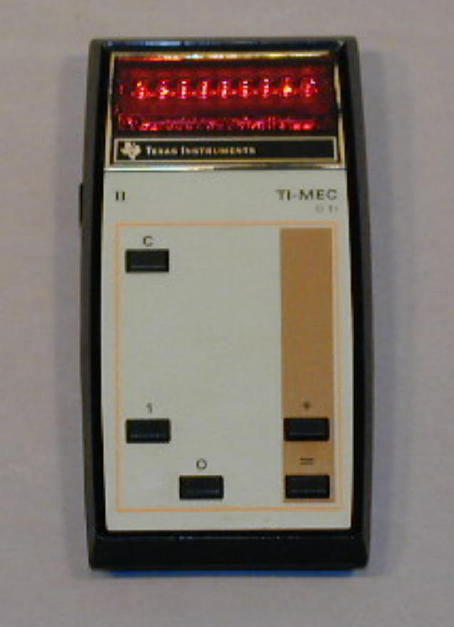 It was the first effort at an educational calculator for young children. 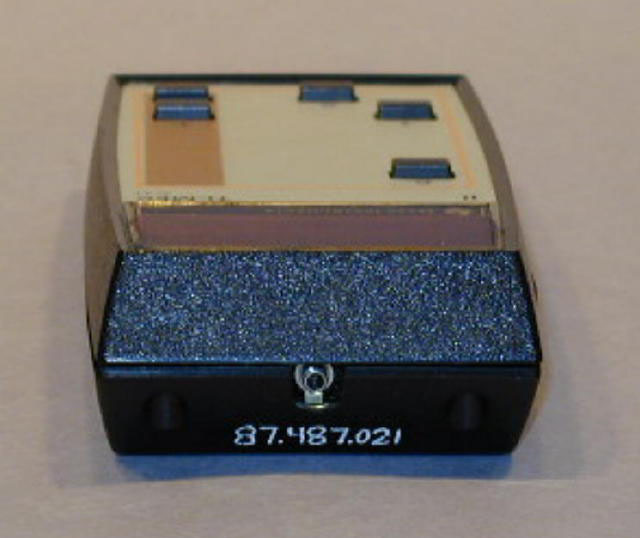 It was part of a 1976-7 program and led to the ABLE calculator. The educational program was done in conjunction with the Lawrence Hall of Science at the University of California, Berkeley. The Calculator has only the C, 1, 0, + and = keys. 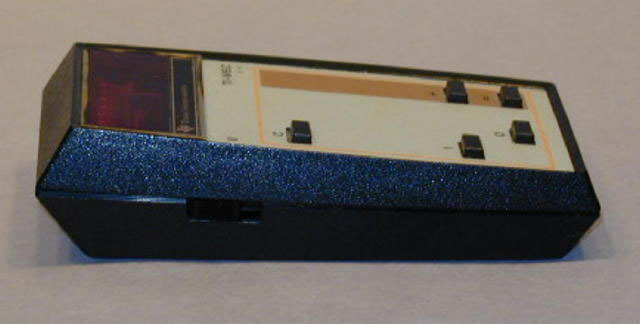 It operated on batteries with a charger available.